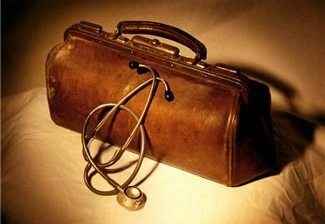 Think Like A Doctor: Diagnose And Cure What Ails Your Book - Writer's Relief, Inc.
One of the most important skills you can have as a writer is the ability to detach yourself from your work and diagnose its weaknesses objectively—as if you were a doctor examining a patient. We all get married to a word, a turn of a phrase, a paragraph that is stylistically glorious. But what may showcase your prose style may also detract from your book’s plot (and vice versa). It takes the ability to look at your work in a clinical manner—with you as the cool, dispassionate, detached doctor whose only mission is to diagnose and cure the ills. It is not easy—we all get emotionally involved with our work—but with practice you can become your own book’s best doctor. You diagnose the problems and you devise the cures. Sometimes only an aspirin will be needed; other times a scalpel will be required; and sometimes, unfortunately, only radical, risky surgery will save the patient. Symptom 1: Your story starts out exciting, but then turns boring. Diagnosis: You put on your white coat, step back, and analyze why. You deduce that there is too much “filler” instead of high-tension story. Your professional opinion: midsection prolapse or, more commonly, saggy-middle syndrome. Cure: Add conflict. What is conflict? Quite simply, it is the interaction of two opposing forces. Conflict can take an infinite number of forms, such as character against character, or character against nature or other macro forces, or even opposing forces within a single character (“To be, or not to be, that is the question…”). As a good doctor, it is your job to know what type of conflict will best suit your book: whether to introduce a series of small conflicts or one large conflict that runs the length of the story. Not only do conflict and conflict resolution make for more interesting reading, but they also fulfill the natural human urge to take sides—to root for the home team—thereby more fully engaging your reader. When deciding how to introduce conflict, make sure to observe the Hippocratic oath and, above all, do no harm. Don’t overprescribe and introduce too much, or contextually inappropriate, conflict. And promise that you won’t morph from a skilled doctor into a quack by introducing easy-way-out conflict resolution devices like the deus ex machina! Symptom 2: Readers finish your book, but are left feeling empty; they just didn’t feel a lot of emotion. Diagnosis: After considering all the options, you diagnose the problem as empathy reuptake inhibition, or in layman’s terms, anemic character syndrome. You determine that your characters are not empathetic; that they lack personality; that they are neither likable nor hateable. In a word, they are blah. Cure: Doctor, give them an injection of steroids. Punch up your characterizations. Make your heroes more relatable and your villains more detestable. But also give your heroes flaws that make them human, and your villains attributes that make the reader, if not sympathetic with them, understanding of how they came to be the way they are. Read more: Characters We Love To Hate: How To Pull Off Unlikable Characters. Transform every character not into a stereotype, but an archetype. That is, describe them so vividly and have them behave so consistently that a reader will know who you are talking about, even when the name isn’t given. And by drawing the characters so clearly, when they say or do something out of character, it makes it all the more impactful. 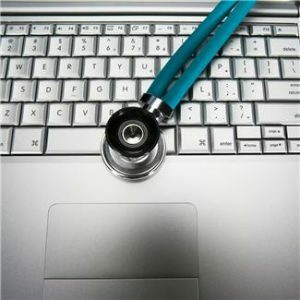 Cultivating the ability to analyze your work clinically, as a doctor would an ailing patient, will pay huge dividends. It often means swallowing one’s pride, but the end product makes it all worthwhile! QUESTION: How good are you at dispassionately critiquing your own work, diagnosing its flaws, and then curing them? Do you often take a scapel to your work? Very nice post. I especially like the steroid injection part ofcourse as a metaphor – live characters are always more engaging. David, we’re glad you enjoyed the post! And we definitely agree; writers often become emotionally invested in their own work, and taking a small break before revising/editing it is a great way to distance yourself and gain a more professional mind-set. The other aspect to consider (which I’m certain you agree with and must of recommended elsewhere) is to leave your drafts alone in that proverbial bottom drawer for at least two weeks, preferably for a month or more; that way when you read it again it’s with a more objective eye; the “word-blindness” through familiarity is greatly lessened. Good post. What I find also helps is to put the manuscript away for a few weeks before reading it again in search for flaws. But seriously though, it’s tough to try and work out your own issues. The key, I’ve found, is to be open to the opinion of others, kind of like a think tank—after all, they’re most likely readers themselves!